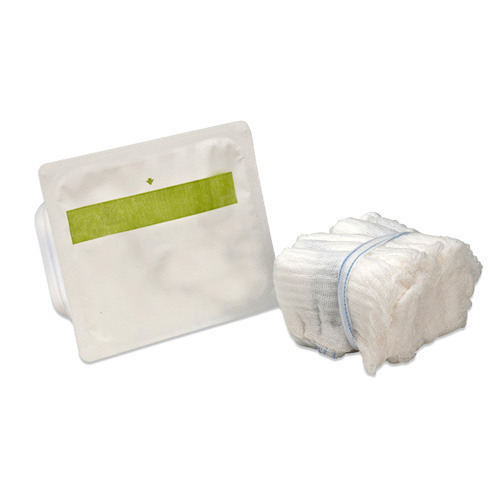 Exporter of a wide range of products which include lap sponge with x-ray and lap sponge. 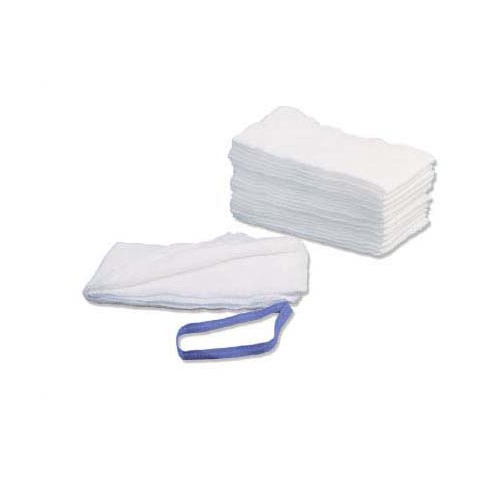 Sponge Size 4" X 4", 3" X 3", 2" X 2"
The Lap Sponge with X Ray supplied by us breathes in quality and hygiene and are widely used in hospitals, clinics and other medical industries. These sponges conform to the international standards and are available in all standard sizes. 60% barium x-ray thread in black / blue color x-ray thread imported from U.K.
Sponge Size 3" X 3", 2" X 2", 4" X 4"
Lap Sponge is available in all standard sizes and is hygienically packed in medical clean room of class 100K & 10K capacity. These are offered both in American & French Folds Packed in Medical Grade Paper from Arjowiggins / Leipa Sterile / Ready-to- Sterile / Non-Sterile Bleached in Rotowa Fully Automated Production.